~The Art of Life~: Helpful Painting Supplies for painting "colored pencil style"
Helpful Painting Supplies for painting "colored pencil style"
~~It's coming up a year since I first made my journey into paint. 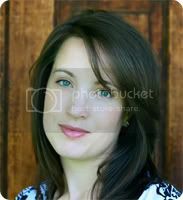 For those of you who are new to my blog, I've always considered myself to be a Prismacolor colored pencil girl. Up until a year ago they were my primary art medium and I still consider myself to be a pencil girl at heart. But I was having some problems with my chosen medium. One being that my style of work requires many, many layers of translucent color which translates into many, many hours per piece. It was not unusual for one small piece to take up to a month to complete. Add onto that the fact that having young children at home means that my art time is limited and you can see my problem. ~~My husband was the one who kept encouraging me to try painting and I have to admit that I was very resistant. I absolutely love the process of colored pencil painting. But I finally, reluctantly decided to give it a try. My first few pieces weren't very successful. I was hoping to find a way to use the same layering process in paint and it simply wasn't working. That is until I found watercolor canvas. Eureka! That was the key for me. Finally I found something that allowed me to work in light, semi-transparent layers. It gives me total control of the edges and the finished work looks very similar to my colored pencil pieces, which is exactly what I wanted. The added benefit is that I'm able to lay down large layers quickly and create wash effects that I wasn't able to do with pencil. I truly feel like it's the best of both worlds. ~~While on this painting journey, I've been discovering new tricks and tips that are very helpful. Sometimes I find something and think "Wow! I wish I'd known about this a lot sooner!" So today I thought I'd share some of my favorite supplies for "painting colored pencil style." You can find an earlier post on this style of painting here. 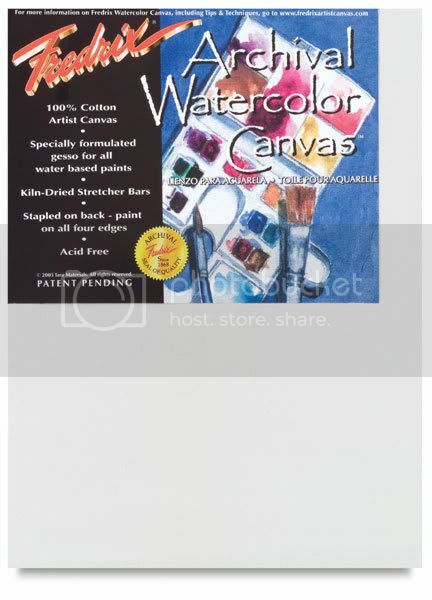 **First, of course, is the watercolor canvas. I use Fredrix pre-stretched watercolor canvas for my large pieces. I also have some of the canvas sheets and use them for smaller pieces. **The one thing that continually frustrated me with paint is the fact that I can't just reach for the color I want. Instead I have to mix it. It often takes a bit of experimenting to get the color just the way I like. But then you have the problem of acrylics drying so quickly. What do you do to keep that perfect color wet until you're finished with it? Liquitex Palette Wetting spray. This stuff is wonderful and it really works. I continually mist my palette while I'm working. If I need the paint to stay for quite a while, I'll drop a few drops in (instead of spraying) and mix it with my palette knife. I started painting this morning, added the wetting spray in, and when I came back this afternoon my color was still wet in the middle. Awesome! **I've been enjoying doing large wash backgrounds but these can be a little hard to control. I like to let them puddle, mix and do their own thing so I was very excited to find the Masquepen. Up until this discovery I had been using liquid frisket and painting it on with a brush. It was slow, uneven, and messy. 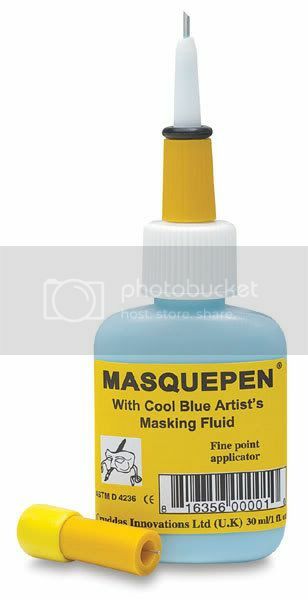 The masquepen is the same idea as frisket only it comes in a pen-like applicator. I can use it to easily block off anything that I don't want my background wash to go over and it comes off by simply rubbing it gently with my finger. ~~The more I journey into paint, the more I find myself loving it. I suppose the greatest lesson I've learned is not to be afraid to try something new; to journey outside of your comfort zone. You never know what discoveries you might find! Your paintings have just been beautiful Kasie, I'm sure that people are surprised that you haven't been using paints all that long. Seeing you do it a year ago, encouraged me to try this year. Thanks for the info too, should I ever get to acrylics! Thanks for sharing your tips with us! I'm glad you ventured out of your comfort zone. Like Rose said, you've got me thinking about trying something new too! Wow, Thanks for the tips Kasie, I'm 'specially interested in the masquepen! !